On March 8, 2016, Microsoft released an update KB3085515 for Office 2010. It addressed some VBA issues for Excel. Microsoft Access databases in ACCDE and MDE formats (defined below). Databases (ACCDB or MDB) with library references to ACCDE and MDE files. Built-in MS Access 2010 Wizards that are ACCDE files. ACCDE and MDE databases are “compiled” versions of ACCDB and MDB database formats where form and report design changes can’t be made and VBA modules can’t be viewed or edited. They are “locked” to referenced DLLs, libraries, and other dependencies that can change over time…provided those dependencies follow Windows protocol for binary compatibility to identify new versions. Unfortunately, the Microsoft Excel update of the VBE7.DLL file broke the VBA dependency by not creating the new version correctly. That causes previously developed ACCDE and MDE databases to stop working. This was not an issue for the Excel community since they don’t have an equivalent “compiled” version of Excel spreadsheets (the VBA code is always exposed behind spreadsheets), but it kills Access Wizards and the ACCDE and MDE databases people create. Microsoft Access can’t start the wizard, builder, or add-in. This feature isn’t installed, or has been disabled. The code contains a syntax error, or a Microsoft Access function you need is not available. File format no longer supported. The hope is for a new update that fixes this problem. Timing of when that will be available is unknown, but we’ll keep you informed as we learn it. 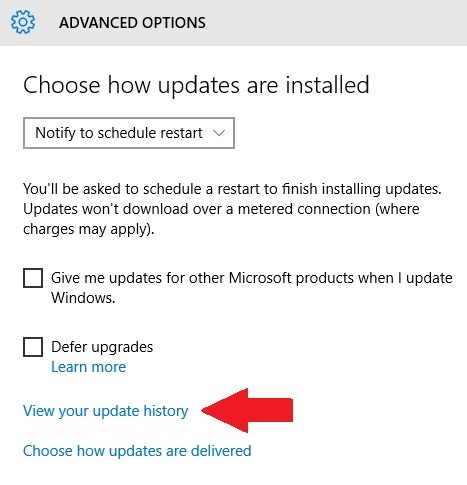 View the list of Windows updates installed on your PC, grouped by product which are collapsible. Go to the section Microsoft Office Professional Plus 2010 (or equivalent): Find the KB3085515 update, click on it to uninstall and confirm it. We are delighted to announce the release of Total Visual SourceBook 2013. Total Visual SourceBook is our royalty-free source code library for Microsoft Access/Office VBA developers and Visual Basic 6 (VB6) developers. The new 2013 version is an upgrade to our Total Visual SourceBook 2007 version. The new version is especially designed for the new features introduced in Microsoft Access/Office/VBA 2013 and 2010. It can also run in Access/Office 2007 and older versions through Access/Office 2000. Total Visual SourceBook 2013 includes 35 new modules, 25,000+ more lines of code, enhancements to existing modules including VBA code that’s compatible with 32 and 64-bit versions of Office. The user code database can now be upsized to SQL Server to simplify sharing code among your developer team. The new version also includes many enhancements to the code browser to simplify your experience in viewing, searching, adding, editing, and applying different error handlers to the source code. For a complete list of enhancements, visit our New Features page. Total Access Analyzer is the most popular Microsoft Access add-in of all time. Analyzing all the objects and code in your database, Total Access Analyzer generates detailed documentation and detects 300+ ways to fix, improve, and speed up your Access applications. Existing customers were already notified with download instructions.